When searching for outdoor flooring, trying to decide what type would be best for you can be a challenge. 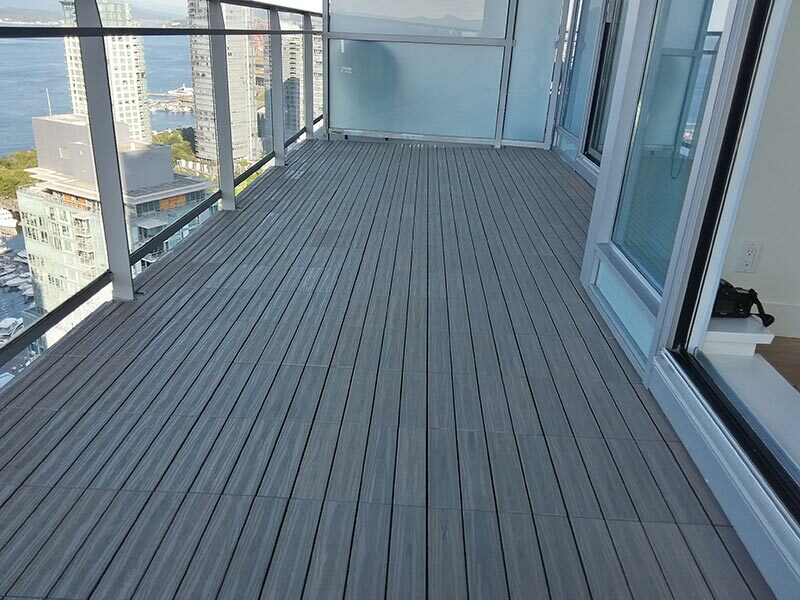 So getting the skinny on Deck Tiles will help you to define which type would be best suited for your space. Here’s our Top 7 Tips providing all you’ll need to know in order to make the best informed decision for yourself. 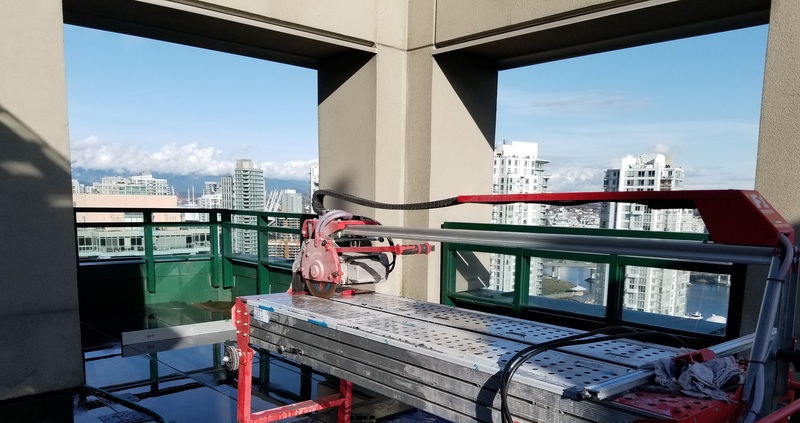 All deck spaces differ in surface, slope, flatness, railings, and whether or not they include a membrane and parapet walls. 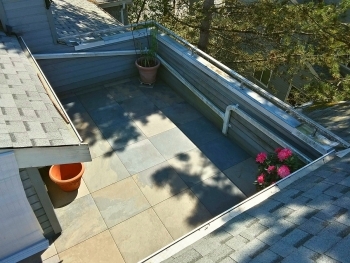 suit all Deck Tiles aside from Structural Porcelain Pavers. 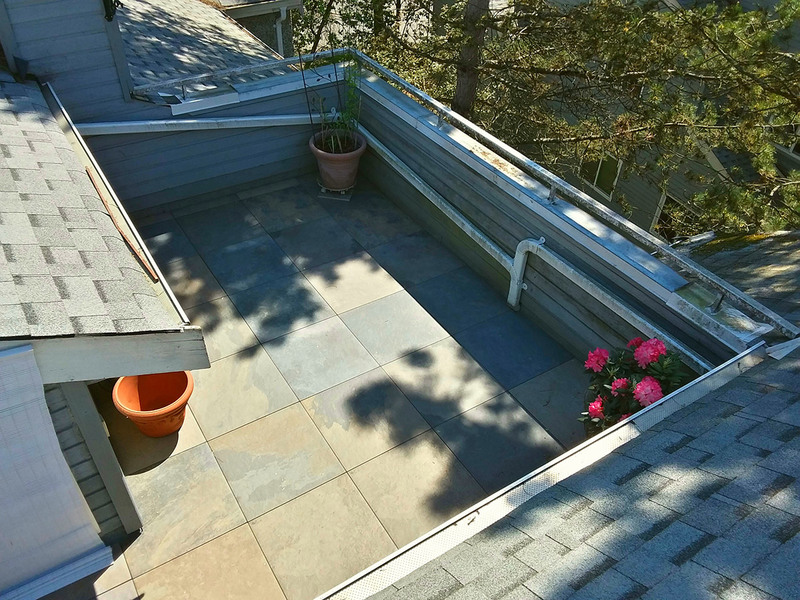 Parapet Walled Decks with concrete or concrete pavers suit all possible Deck Tiles. Membrane Decks with parapet walls suit Structural Tiles. Vinyl Membrane Wood Decks suit all but Structural Porcelain Pavers. Built with plastic bases which have ‘sharp feet’ and interlocking on the sides, mainly suitable for hard deck surfaces. Available in Exotic Woods, Plastic/Wood Composites and Resin Polymer, generally in 12″ x 12″ or 12″ x 24″ sizes. 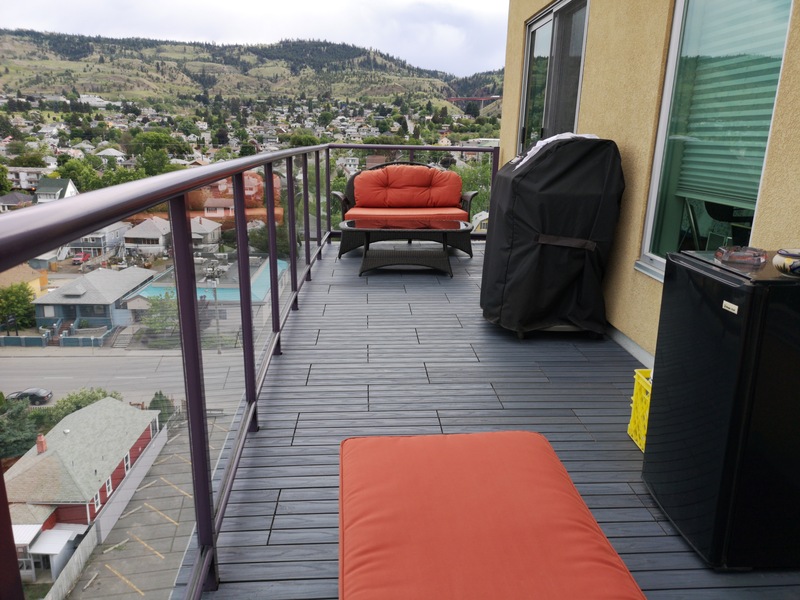 All your balcony flooring ideas can come to life with many options of material, style, size and colour. And with New Styles and Colours arriving for the New Year, they will surely beautify your space. 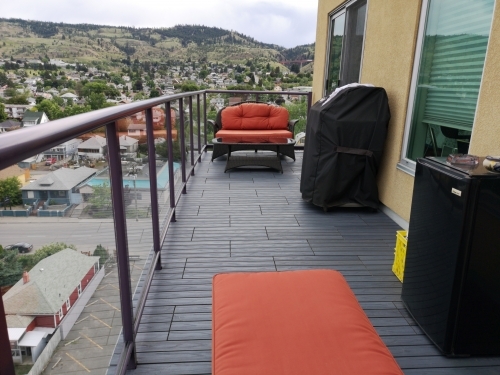 Perfect for Condo Balconies, Ground level Patios and any other hard surface deck application. 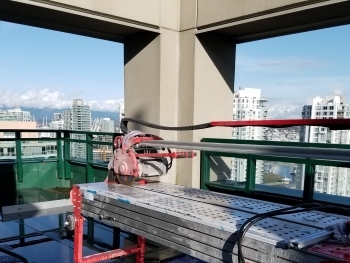 Much more heavy duty than other deck tile systems and being a seamless modular system, they have several benefits. At 2′ x 2′ South American Exotic Ipe Wood Structural Deck Tiles sit atop Pedestals, either fixed or adjustable. Which means with these outdoor tiles all your plumbing, electrical and irrigation can be run and hidden underneath. Specifically Structural Wood Tiles provide beauty and Complete Membrane Protection simultaneously. Ipe, Curupay and Garapa, having withstood the severe Canadian climate remain to be the best choices. One of the biggest benefits is that each tile can be removed at any time, for any reason. 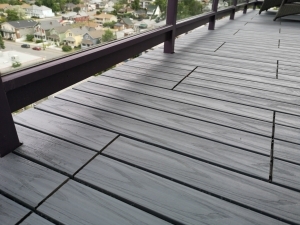 An additional pin system is used to allow Condo Balcony Installation on railing decks. Structural Ipe Tiles come in sizes of 2′ x 2′, 2′ x 4′ and 2′ x 6 ‘ adding to design options. 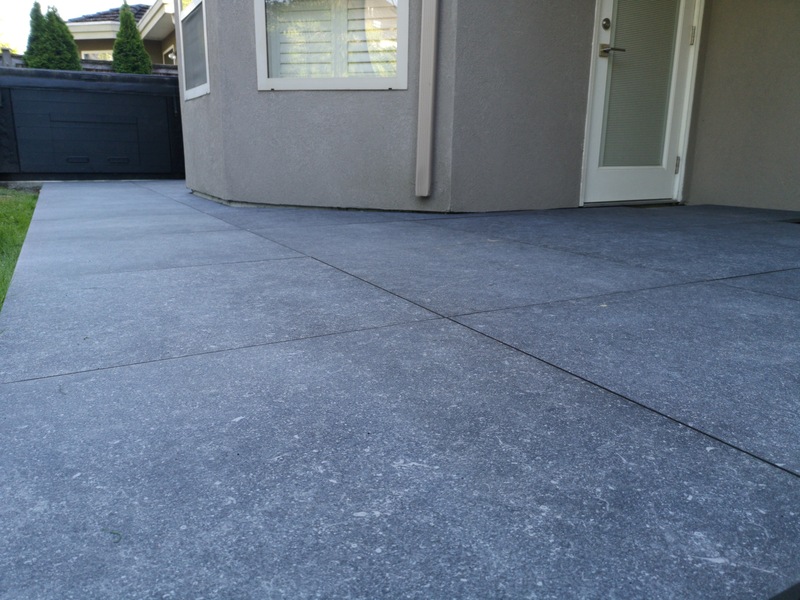 Plain and simply, Porcelain pavers have the most benefits of any deck product out there. Seeing that they accept less than 1% moisture, there’s no issues with freezing and cracking at all in winter. As well as being scratch and scuff resistant, built right into these stunning tiles is high durability and low maintenance. Squares or Planks, and dozens of colours and textures to extend your style outdoors. with these beautiful, weather-proof and maintenance free Structural Tiles. and as such you can put just about anything you want on top of them. From furniture to planters and gazebos, here you can be your own designer. We can’t emphasize this enough if you wish to purchase Outdoor Tiles. Quality is an important consideration for products that are put outside into the elements. Can those materials withstand our severe weather in Canada? Without cracking or warping? Exotic lumber from South America should carry a certified seal from a Global body. As well, specifications for Weight Bearing Capacity and Fire Rating Class should be available upon request. Quality does cost more initially, however over 10 – 20+ years it cost effective to do so! So let’s say you buy tiles with a 2 year warranty, and they look good for 4 years. Or you could buy Quality Tiles with a 10 year warranty and they in turn last much longer than that. That is at least 2.5 times the life difference and cost over 10 years. How long would you like your investment to last, and looking like new? Now, after you include a Full Service Custom Installation into the mix. 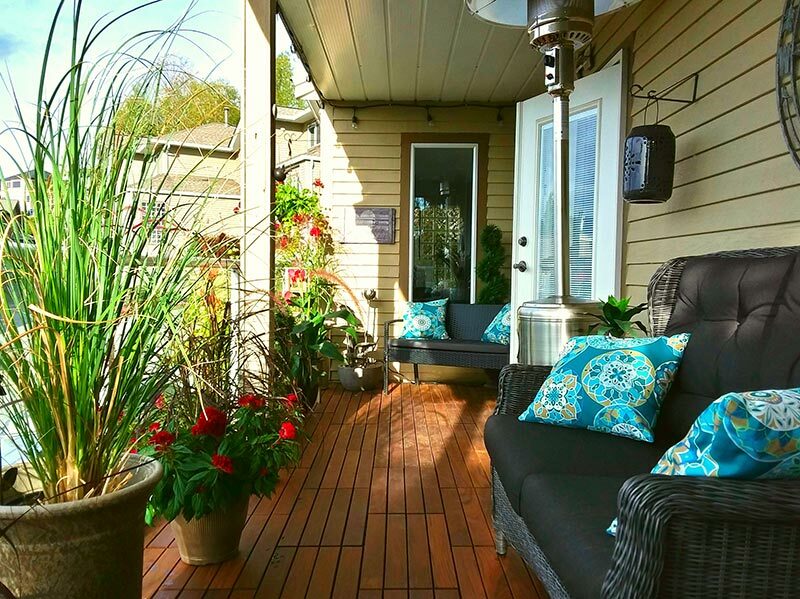 And, combine it with Quality Deck Tiles, it will still be less than buying 2.5 times the deck tiles over 10 years. Therefore, choosing quality guaranteed products that last longer, makes your invested cost to value ratio much higher. As a matter of fact, Quality Deck Flooring has a minimum life expectancy of over 20 years! Lesser quality wood tile products have had known issues to occur with cracking, warping, cupping and splitting. Especially when exposed to heavy amounts of rain, and worse if frozen immediately after. Plastic tiles that undergo no testing often have issues with direct sunlight, and heavy fading and warping can occur. Because of this, many a complete deck flooring has been removed and replaced within just a few short years. Unfortunately, purchasing lesser quality deck tiles often means you only get a 2 year warranty, or none at all. Significantly, the reason longstanding Warranties back Quality Deck Tiles Products, is that they last for years. Exotic Woods should be sealed immediately after installation, and require periodic maintenance after the fact. Only High-end products should be used to coat and seal the wood from the elements, which is essential in Canada. Choose Products that have a minimum of 5 Years Warranty Coverage and proven track records. And a Custom Installation Company that guarantees their work and provides Quality Products with Outstanding Warranties. 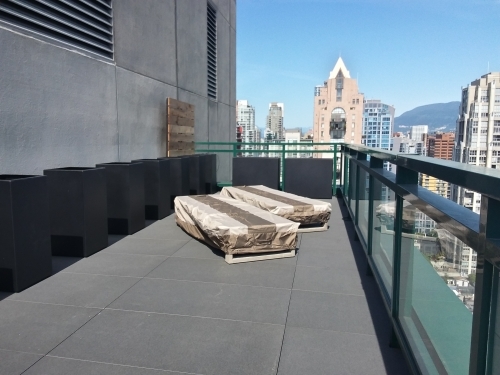 Since Quality Outdoor Tiles need to be imported into Canada, they can’t be seen at a local store. 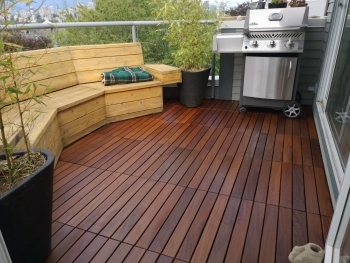 One that offers Quality Outdoor Flooring Products with longstanding Warranties. A Company that not only guarantees Installation and Product, but stands behind both. As well as taking all precautions caring for your home and the final look of your outdoor space. Simply knowing that you can choose a Full Service Outdoor Flooring company that has you covered all around brings peace of mind. A Full Service Company that provides all of this and more.